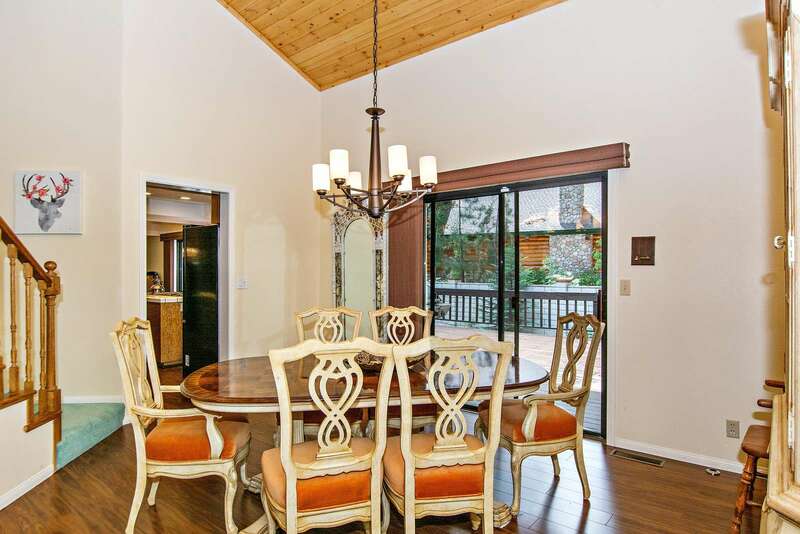 Over 3200 Sq Ft, 5 Br, Custom Cabin Located A Short Distance To Snow Summit Ski Resort. 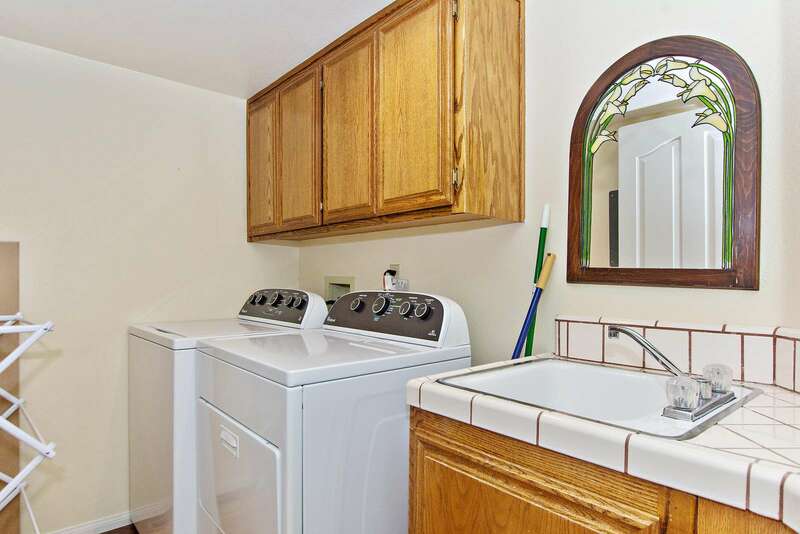 New Rental As Of June 2018 This Property Is In Great Condition with New Furniture Updated Master Bath. 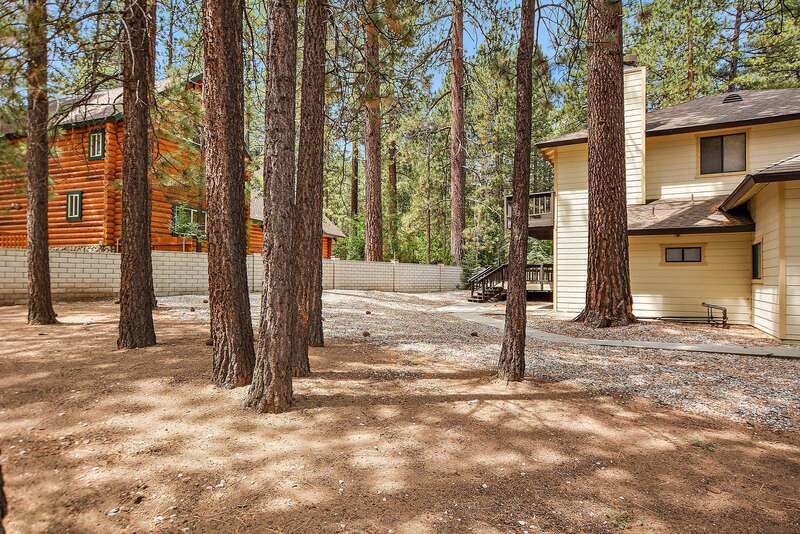 Private, Very Large Tree-Covered Acre Lot! 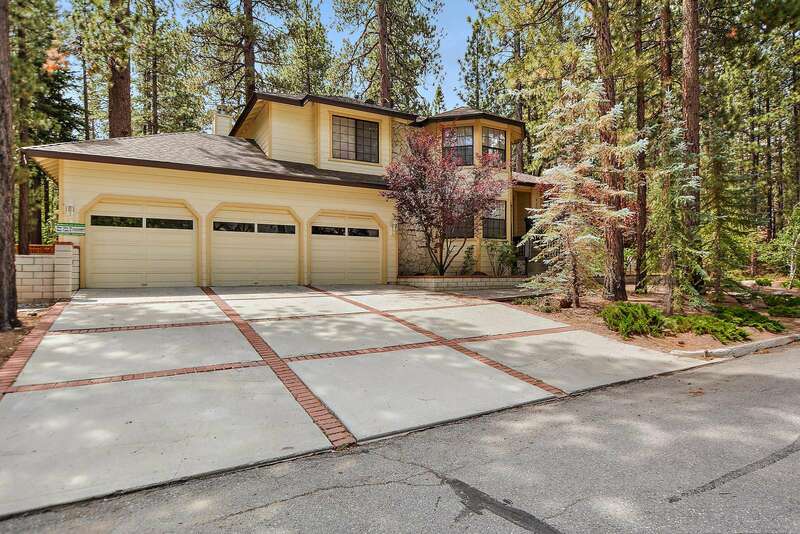 This home features a bright open floor plan with five bedrooms and four bathrooms, including the Master Suite with a Tempurpedic Cali King bed and a remodeled spa-like bathroom. 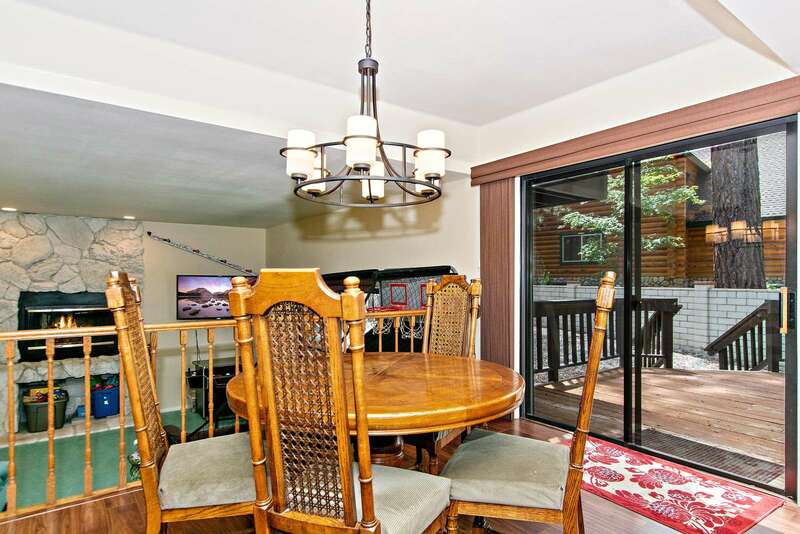 The home has a large kitchen with an island and dining area, a formal dining room, a living room with high wood ceilings plus an additional den filled with games for the kids. 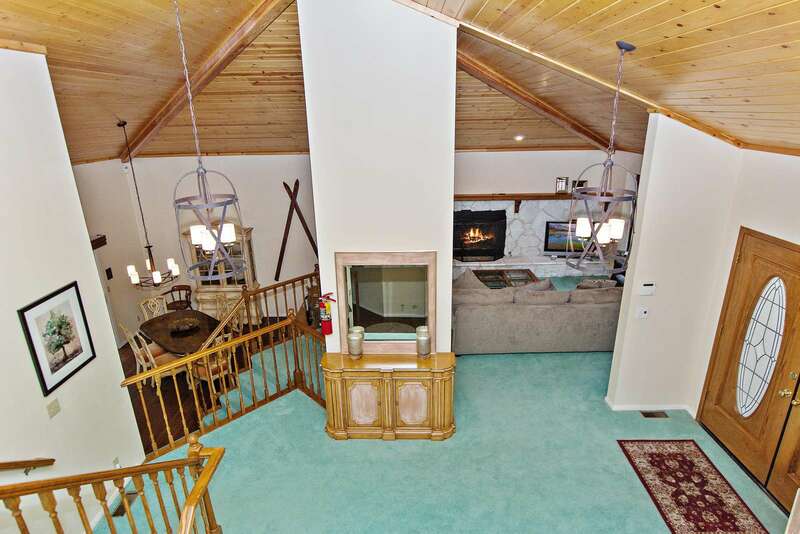 The living room and den each have a gas fireplace to keep the home warm during the winter. 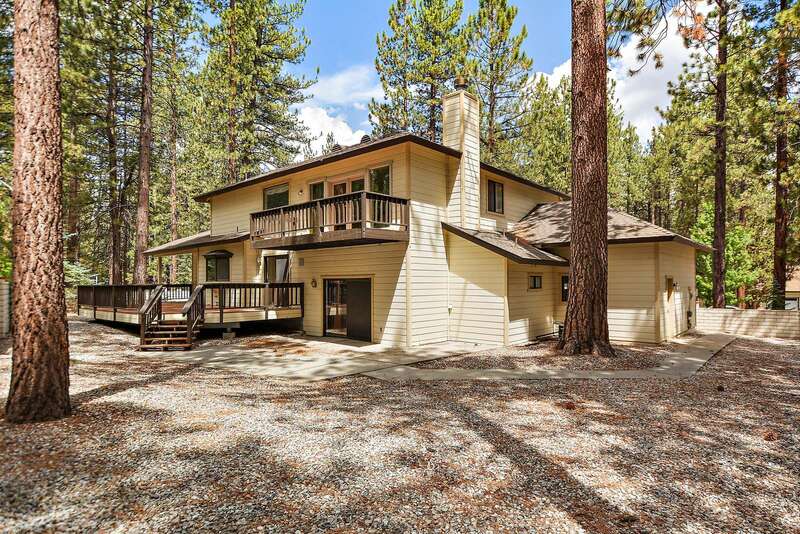 There is a three car garage that is available for all your grown-up toys, and a large back deck all on over 1/4 acre of land. 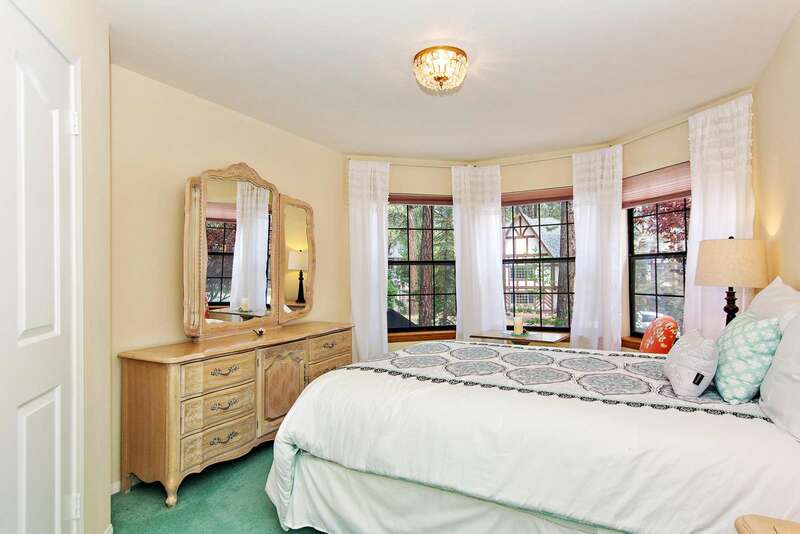 Evergreen Estate is a clean and very private home for large groups or multiple families. It has all the space and everything needed to create the perfect, memorable vacation for 2-3 families traveling together. 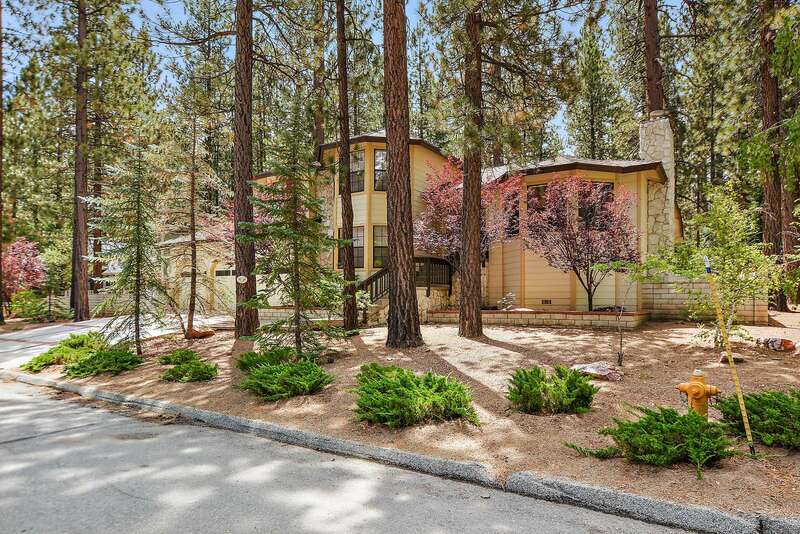 Evergreen Estate is a multi-story luxury home that is ideally located in a custom home community that is situated between Bear Mountain and Snow Summit Ski Resort. 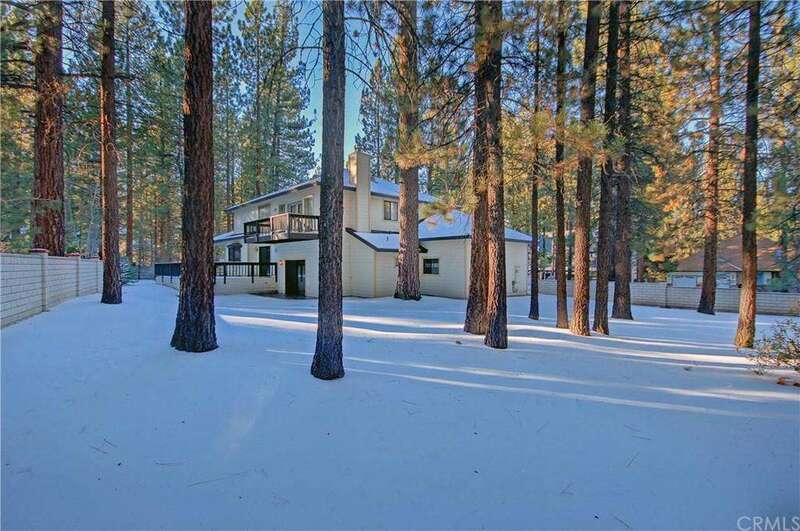 This home is only 1/2 mile to Snow Summit so you will be the first ones on the lift in the morning! This Villa-style 3,200 sq. 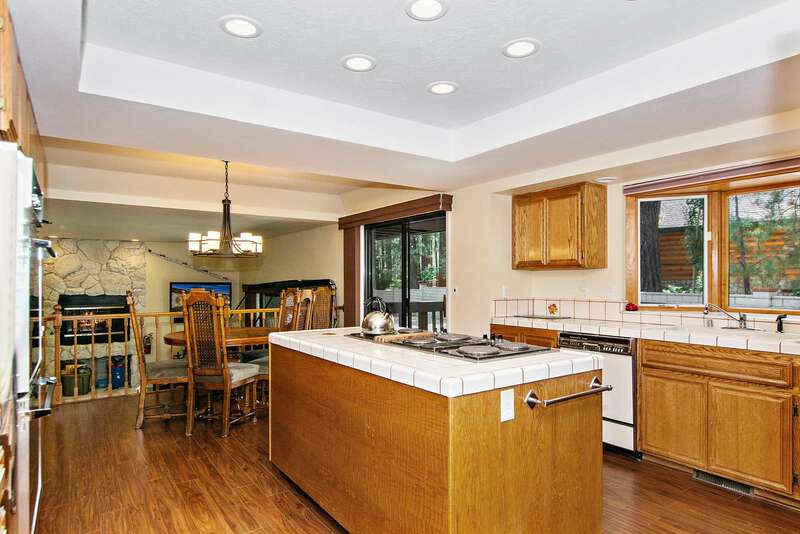 ft. home is nicely decorated with plenty of space for relaxing and spending time with friends and family. 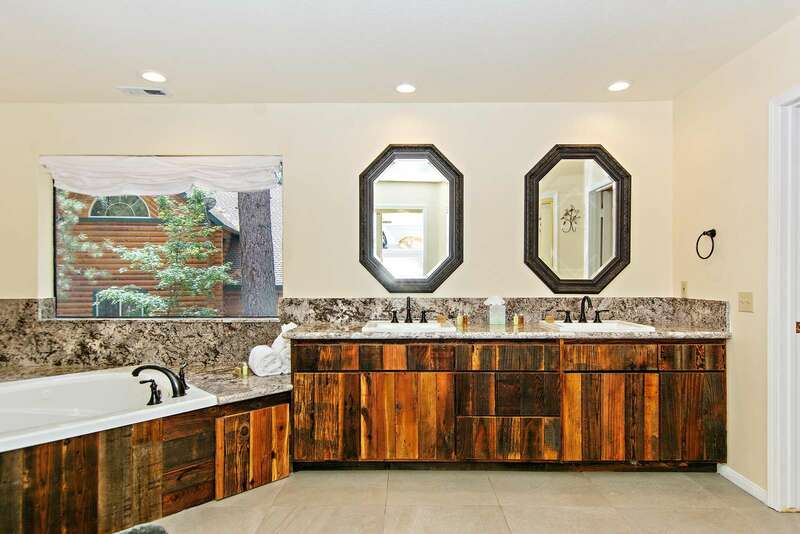 The Master Bathroom has recently been renovated to provide a spa like experience. 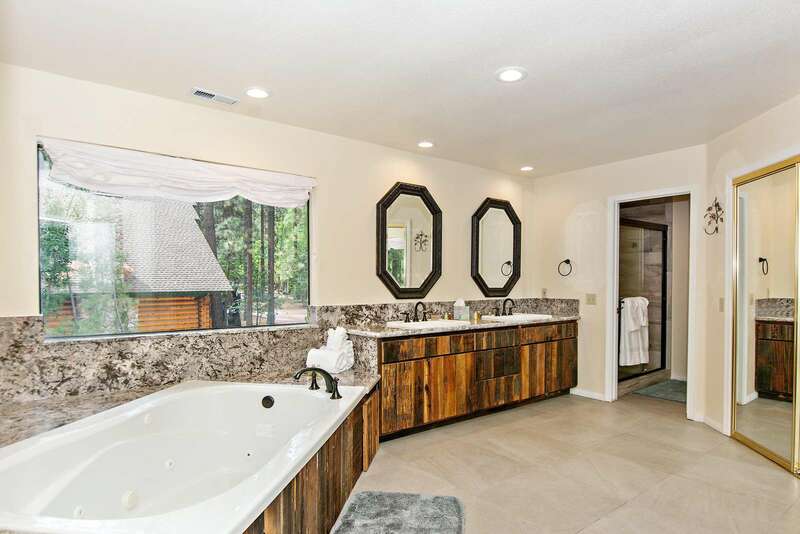 The home is located on a large lot of land with a sizable back/side yard and a deck equipped with a BBQ that will help you enjoy the outdoors. 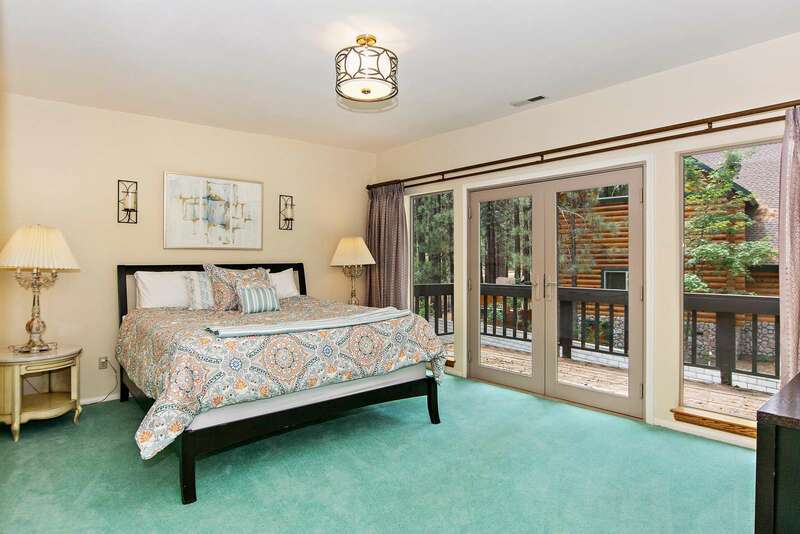 This sensational property has everything you could want in a luxury vacation property in Big Bear. 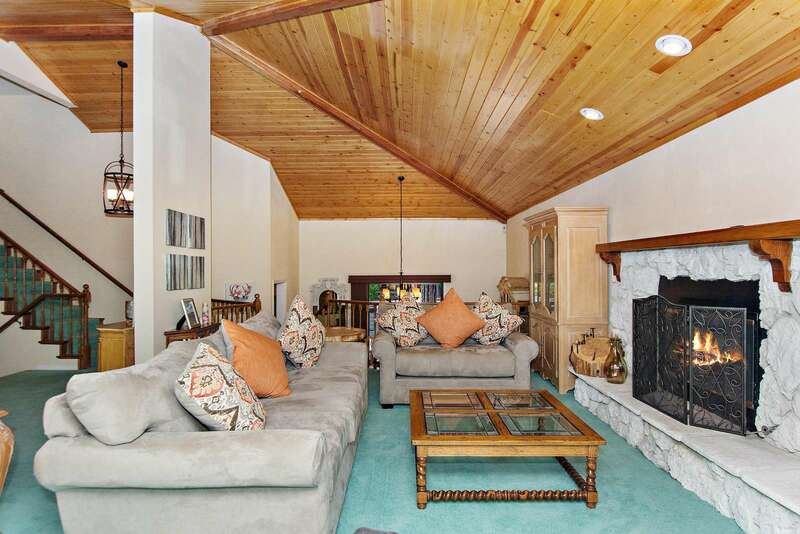 Evergreen Estate has a semi-open living room that connects with the dining room. 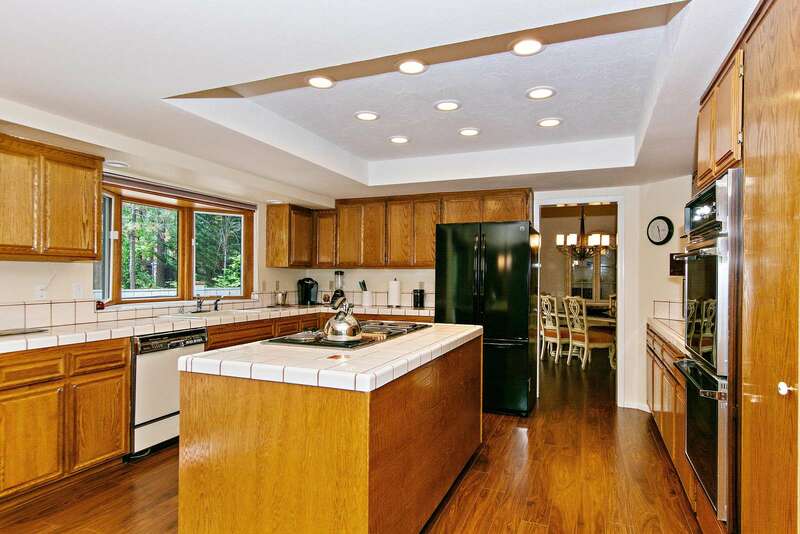 The kitchen opens up over the game area so you can always keep an eye on the kids. 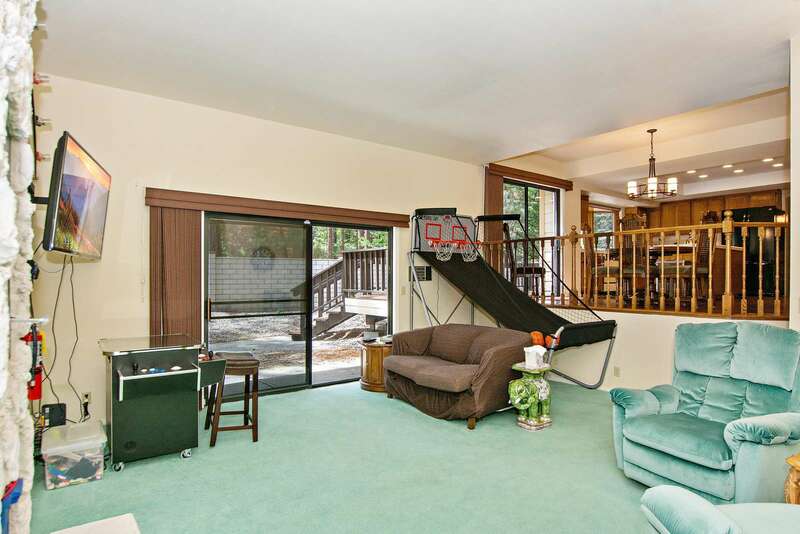 The game room contains a double shootout basketball game, a multi-game arcade machine, misc. toys, children's games, and a TV to plug in an X-box, Wii or PlayStation. 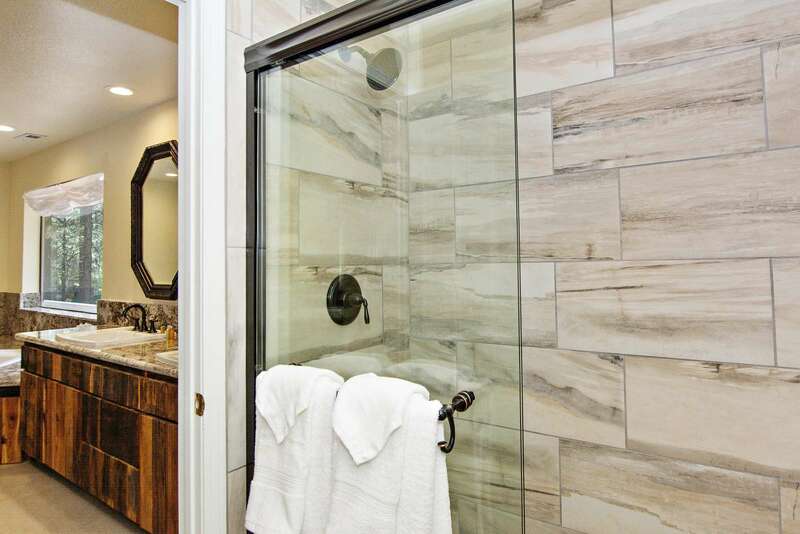 Owners are highly allergic to animals, dogs and cats are not allowed for this house and no exceptions will be made. 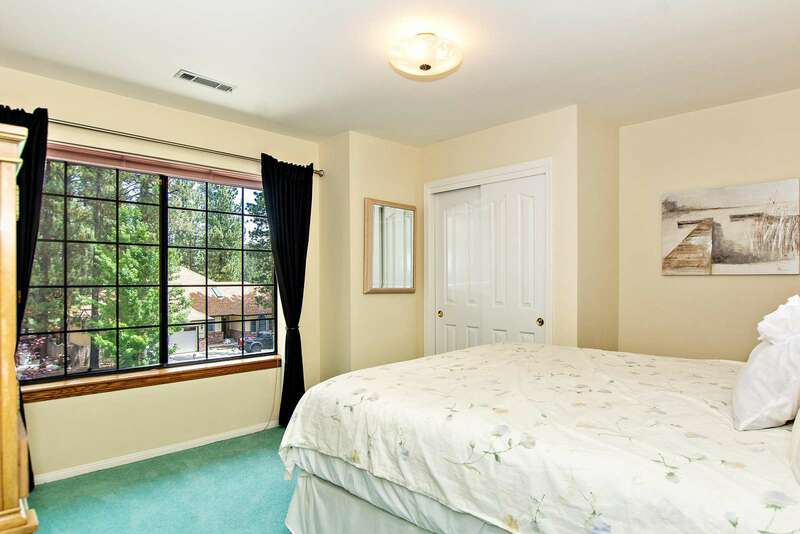 This is a great house for Allergic/asthmatic guests due to no pet/smoking history and HEPA filters. 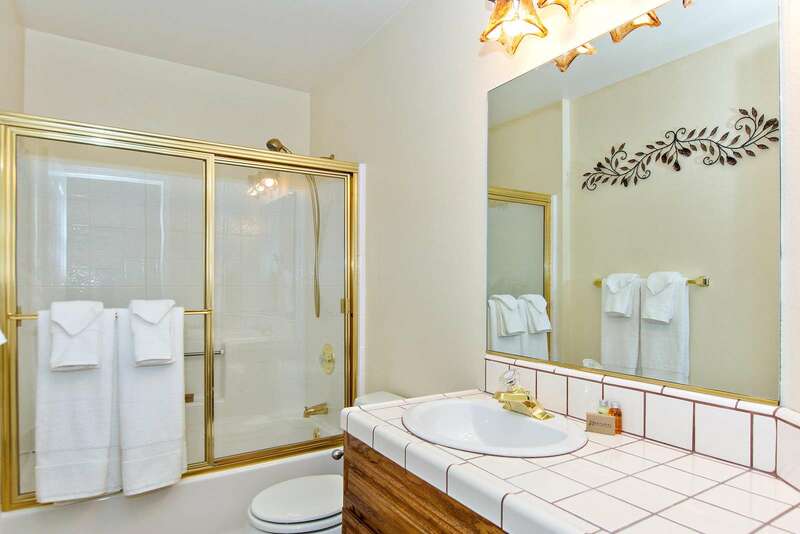 Amenities include high-speed wireless internet, quality towels, clean sheets, soap and shampoo. 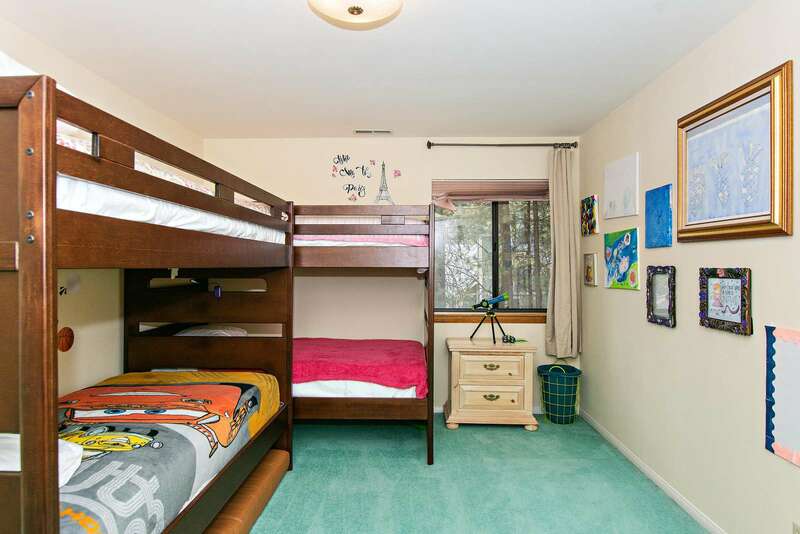 This property has 2 King(s), 2 Queen(s), 4 Twin(s). Let's start with the yard. 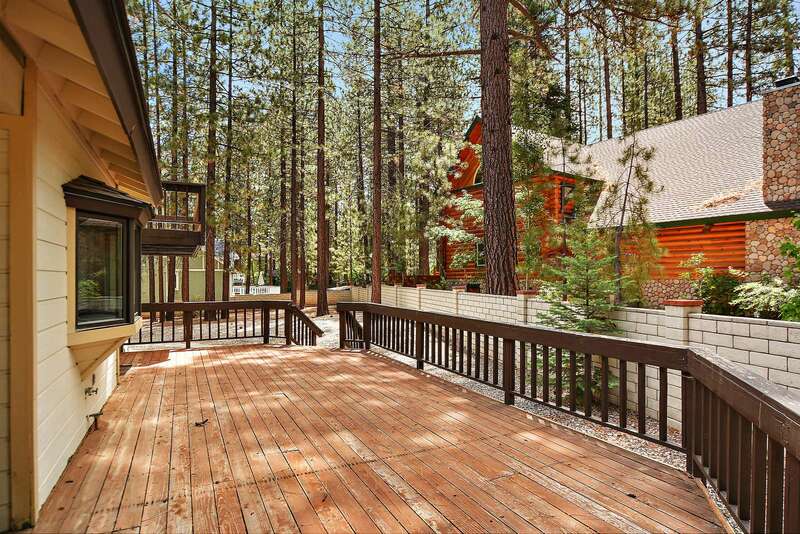 Large tree growth with tons of shade and a HUGE deck area. 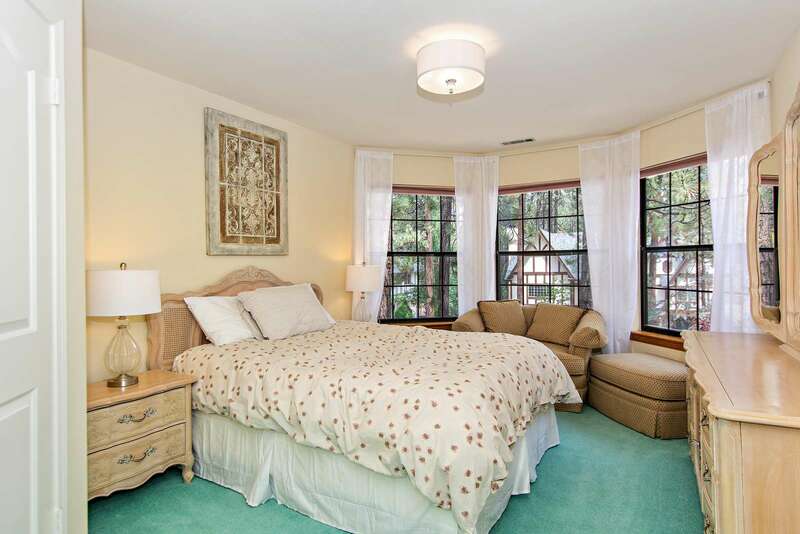 On the inside it is large and the room configuration is great for any number of people. 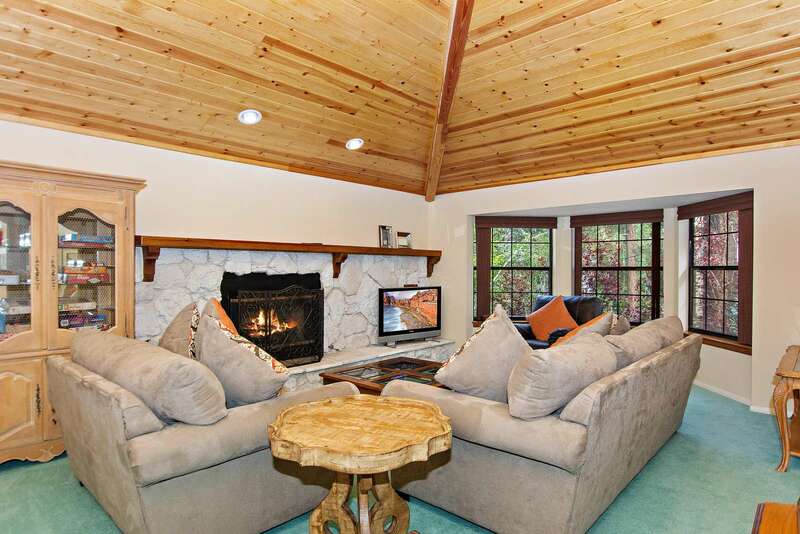 It has a beautiful fireplace in the living room. Extremely clean. 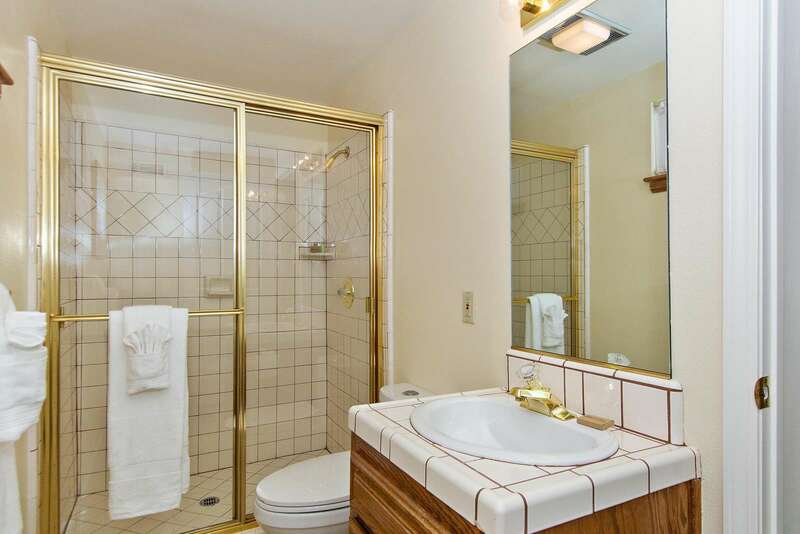 There are enough bathrooms for a small army! 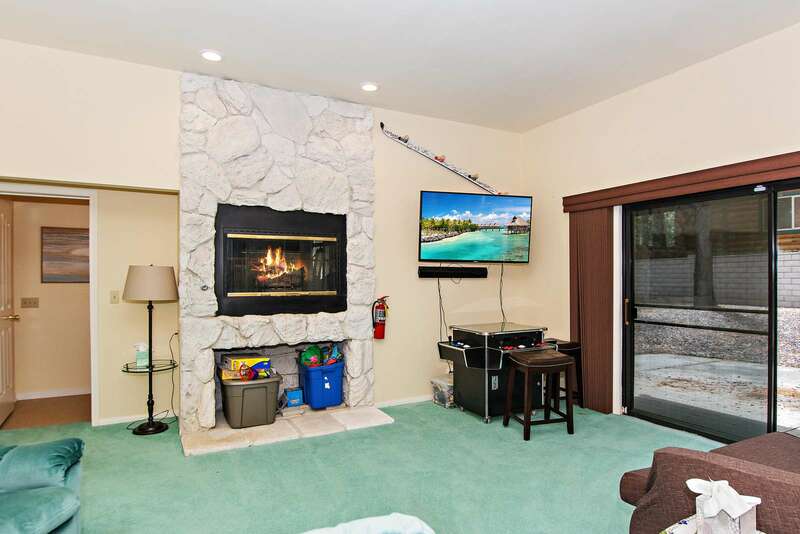 In the family room there are games and large TV. So comfortable! 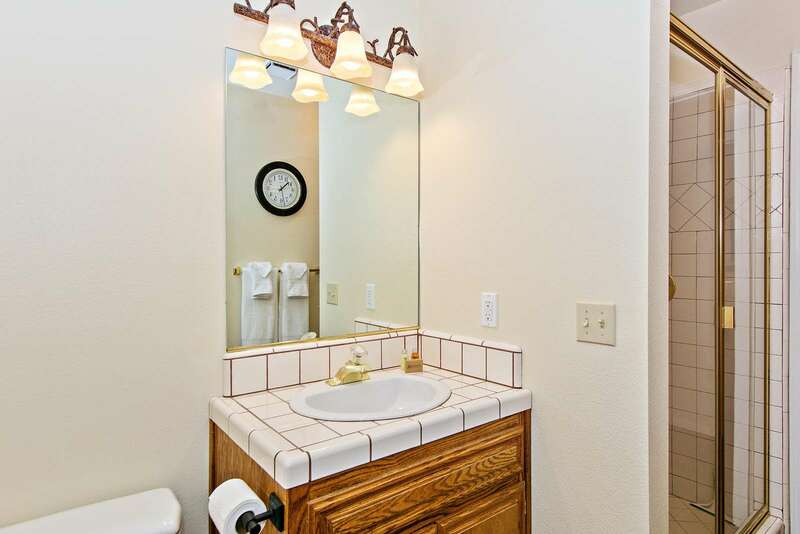 The master bath looks recently remodeled and is so nicely done. The town is such a fun place to visit with so many great restaurants and shops. I would love to go back very soon and would stay at this house again! I just hope it is available! 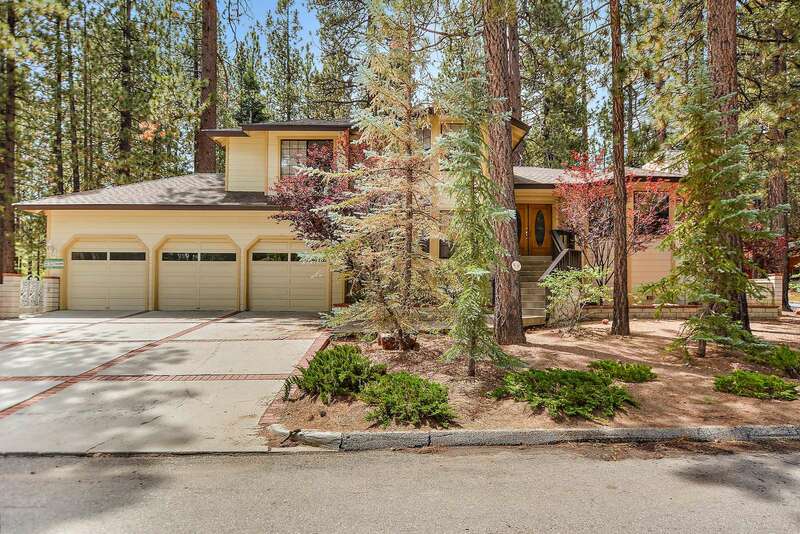 If your interested in going to Big Bear, this house is a gem.